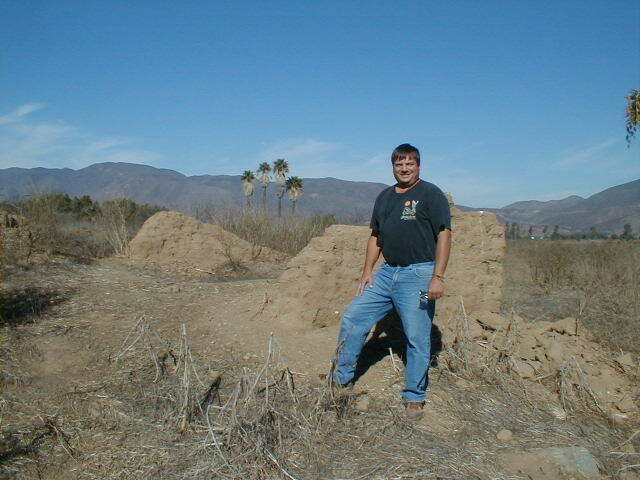 Once a large mission complex, only a few low adobe walls remain 156 years after it was abandoned. 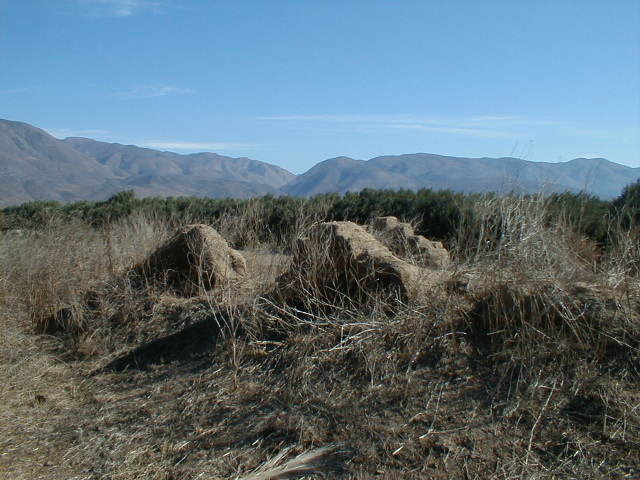 Located just east of the highway and north of the El Palomar campground in Santo Tomas at 31°33.50', 116°24.77' (NAD27). More ruins of Mision Santo Tomas... Soon it will be all gone! 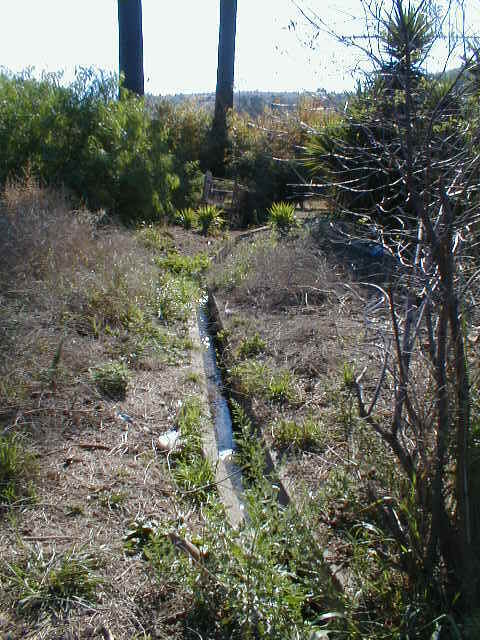 Part of the mission's irrigation system is still in use. Very likely will long outlast the mission walls.